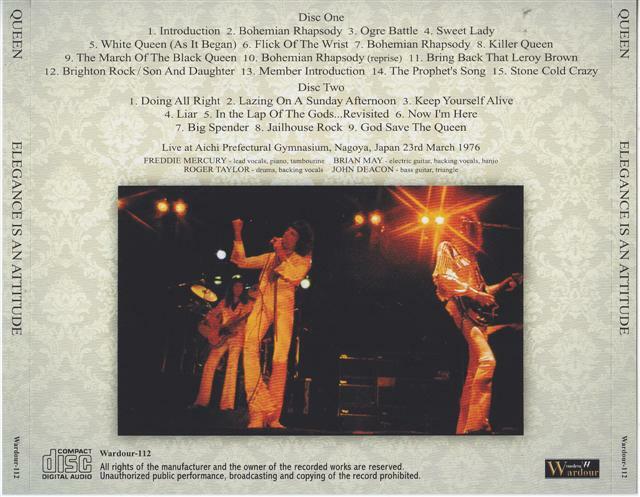 Recorded: Aichi Prefectural Gymnasium in Nagoya, Japan on March 23rd, 1976. Comments: A new release by Japanese Wardour label. 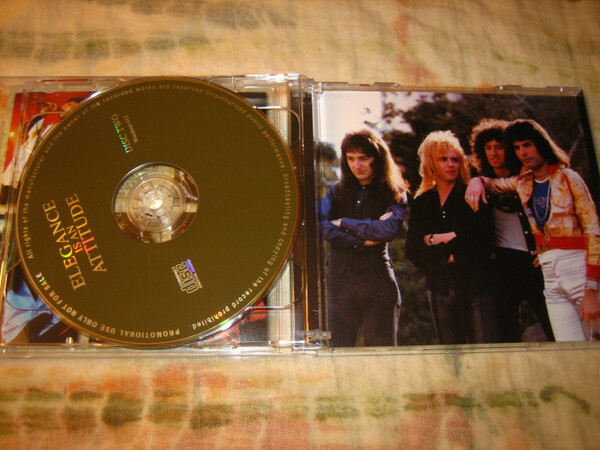 Wardour first released this show in 2009 on 'A Night At The Nagoya'. But that release was incomplete. This release looks complete. Not sure yet which tape this release comes from, or a mix of several tapes. Roots: Audience recorded live tape. 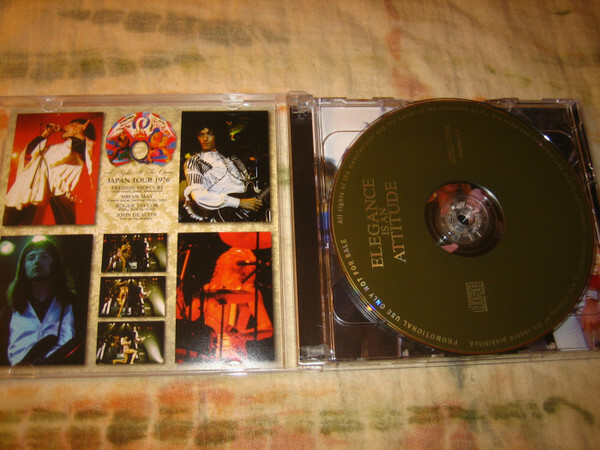 Queen – Elegance Is An Attitude (Wardour-112) is a 2CD set from Aichi Prefectural Gymnasium in Nagoya, Japan on March 23rd, 1976. 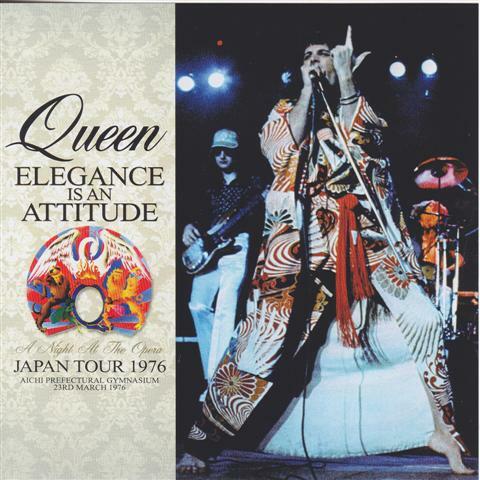 This was released incomplete on A Night At The Nagoya (Wardour-065) in 2009, missing most of “Liar”, “In The Lap Of The Gods…Revisited,” “Now I’m Here,” “Big Spender,” “Jailhouse Rock” and “God Save The Queen.” Elegance Is An Attitude appears to be complete and is listed as an upgrade. It will be interesting to see if Wardour used the entire second source (surfacing in 2010) or a composite of the two.